Designed especially for kids wanting to push their downwind racing. Full carbon plus brushed carbon, PVC , biaxial glass for added strength. Double barrel top deck for added comfort. Single to double concave bottom offers early acceleration, extended planing. 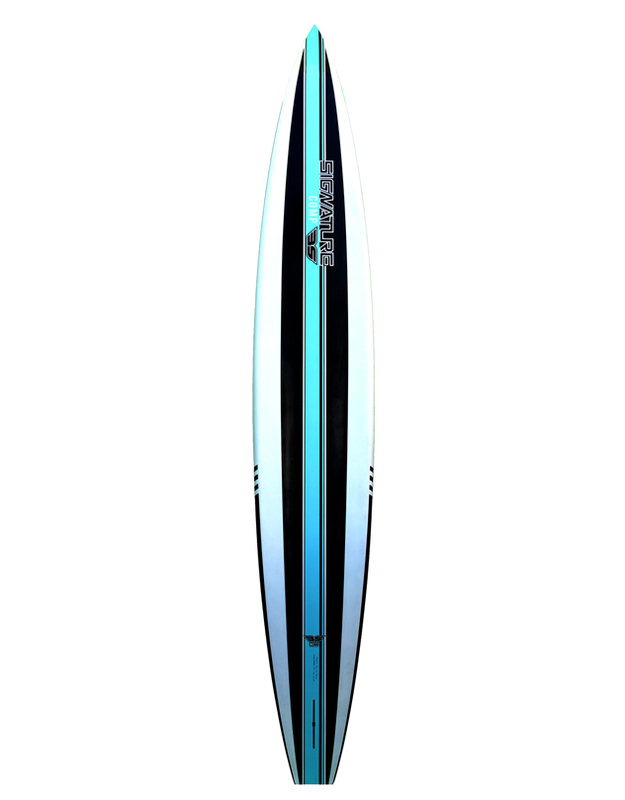 Slightly wider tail offers added stability and early swell pick up. 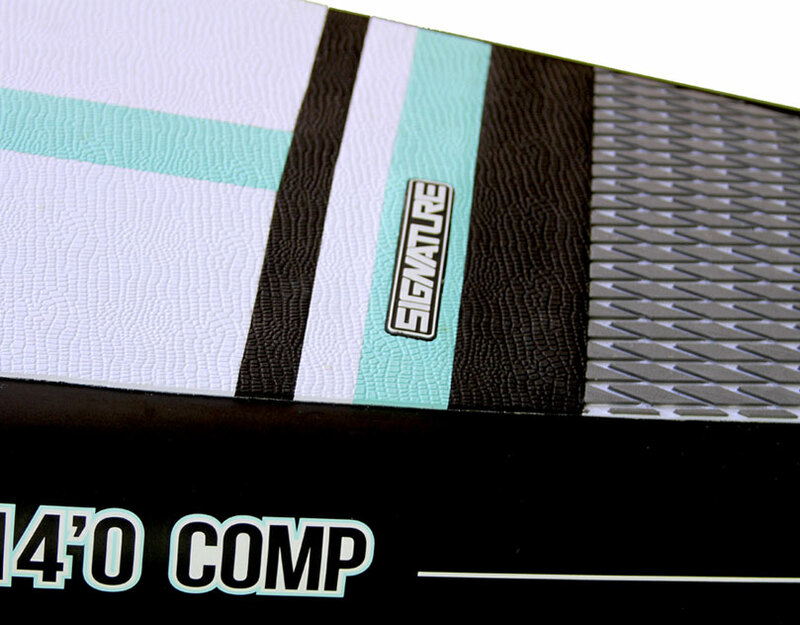 Customized deck pad with crocodile skin and diamond groove for comfort and grip – tail heel kick to avoid slipping off the back. 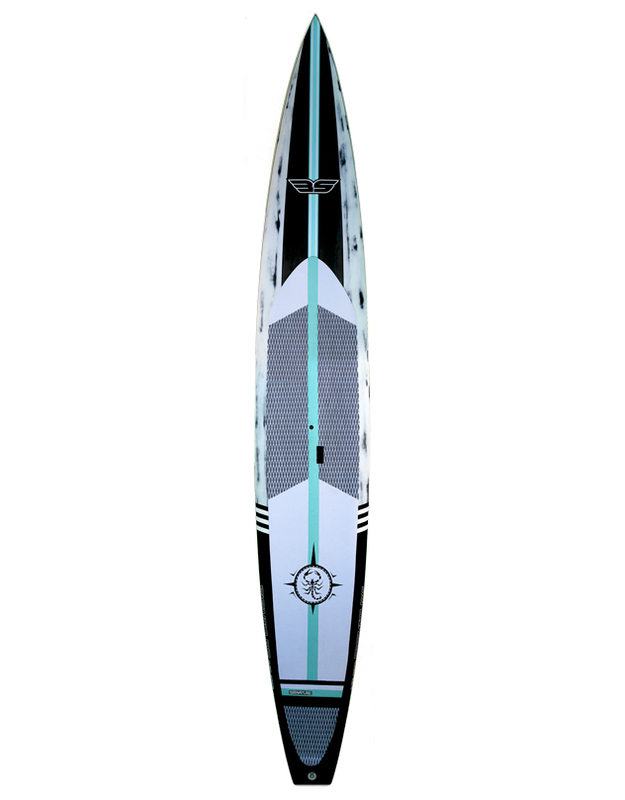 Additional accessories include deluxe board bag, and Signature Downwind cutaway fin. Need for speed and ready to leave your mark with the VENOM Jr! SKU: SUP-013. Categories: COMP, SUP. Tag: SUP RACE.